Jon is the overall team leader and ascent coordinator. Jon is 45 years old, married to Lynn and they have a son and daughter. He is a keen photographer and 'tech head'. He was an international weightlifter until 1997 and has represented Great Britain both as an athlete and coach at every level over a period of 19yrs. Jon is also a member of the National Association of Sports Coaches, a B.W.L.A. coach and is now their National Child Protection officer. His ambition is to live life to the full and make the most of his talents and never to ponder on what might have been!! He was voted coach of the year in 1997. 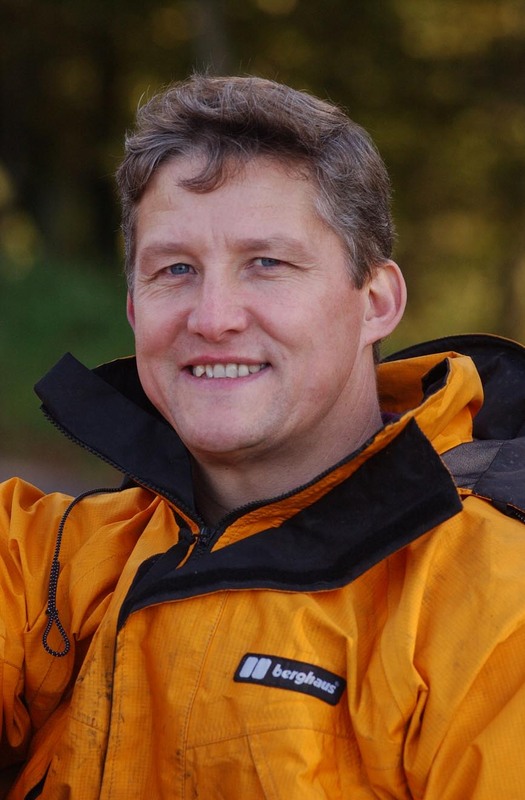 Mark Harling aged 35 - Former Royal Marines Commando and now a physical education officer in the prison service, with mountain experience. 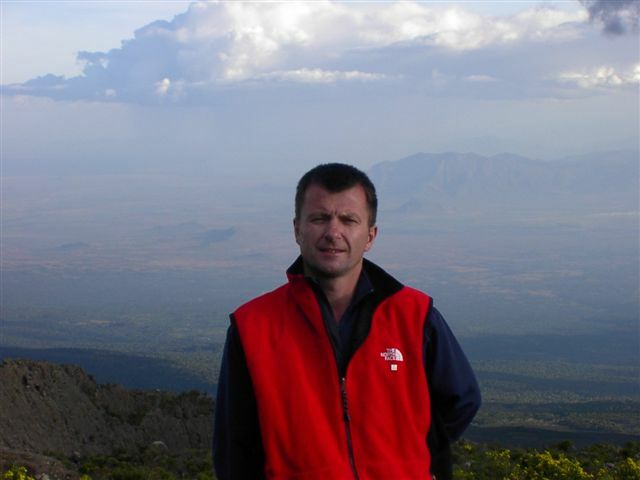 Marks role in the expedition will be logistics support on the mountain. His ambition in life is to aid Jon in his attempt to demonstrate the limitless capabilities of wheelchair athletes. Robbie is a 39 year old physical training instructor, married to Rachel with two children, Alice aged 5 and Jack aged 2. 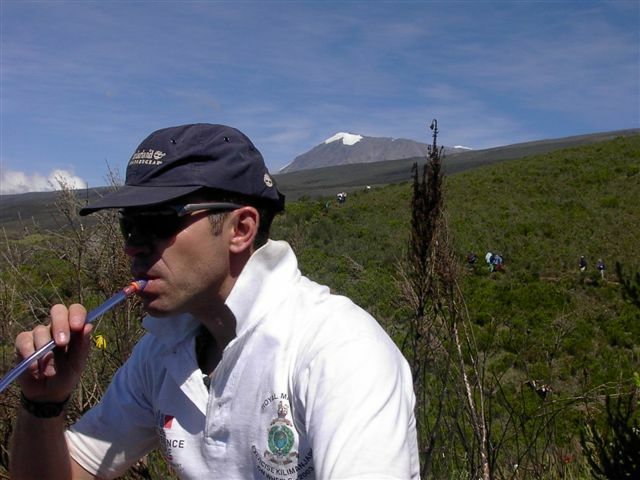 He is an ex world abseil endurance record holder, (8 hours) and his ambition is to take part in the successful ascent of Mt.Killamanjaro with Jon and the team. Rik is a 38 year old Warrant Officer in the Royal Marines. He lives in Cornwall with his wife Jo who is a physiotherapist at the Dame Hannah Rogers School. Rik's latest achievement was being the first Military runner in the "Dartmoor Discovery Ultra Marathon" in Sept 2002. His ambition is to remain active and outgoing well into old age. This will be accomplished with the assistance of his wife who along with physiotherapy also enjoys an active and adventurous lifestyle. 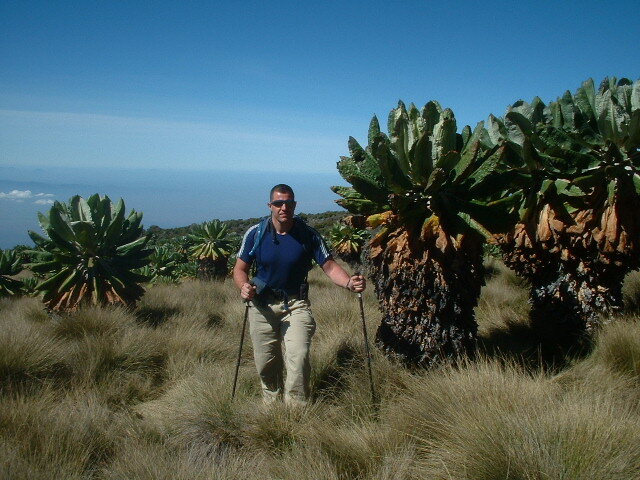 Rich is a 27 year Royal Marine, who is very keen fitness enthusiast that is always looking for challenges such as Kilimanjaro on wheels to push him that little harder. This will be his greatest challenge and achievement to date and will fulfil a personal ambition. Si is a 37 year old Physical Training Instructor who specialises in adventurous training. 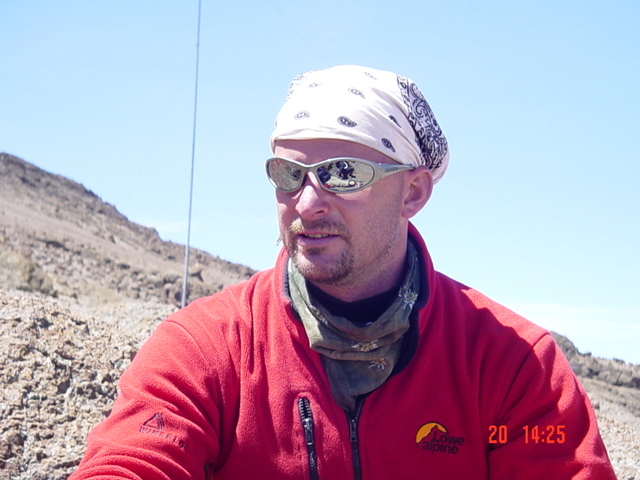 Having conquered various peaks in the Alps he is looking forward to the challenge of standing alongside Jon and his Team on the Roof of Africa. Dragged kicking and screaming into the team at the last minute, Steve is a 33 year old Physical Training Instructor who is married to Kathryn; they have two children Joshua and Charlotte and he is very keen on all sports. Some of his highlights include training the England RFU Squad and Dragon Boating for Britain in Hong Kong and China. Although a keen sport climber this will be his first high altitude ascent and he is looking forward to topping out with Jon and the team. Paul is a Physical Training Instructor in the Royal Marines. He is married with two young boys that keep him fit! Liam and Callum. Paul was born and bred in Plymouth. His hobbies include Rock Climbing, Skiing, Running, Golf and Mountain Biking. 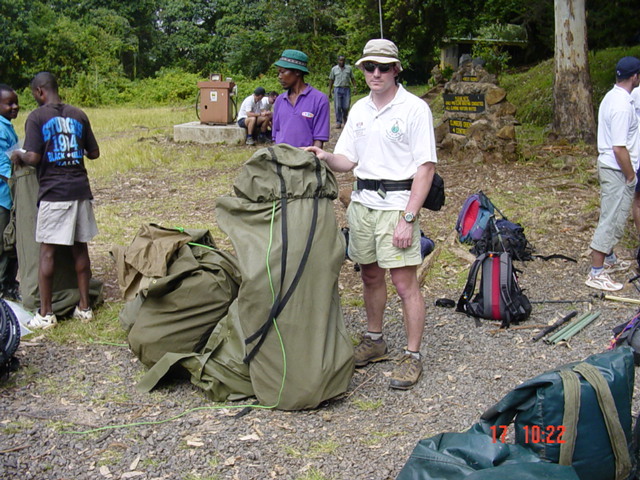 Craig is a Heavy Weapons Instructor at CTCRM; he is 29 years old and is looking forward to the challenge of conquering Kilimanjaro with Jon and the team. 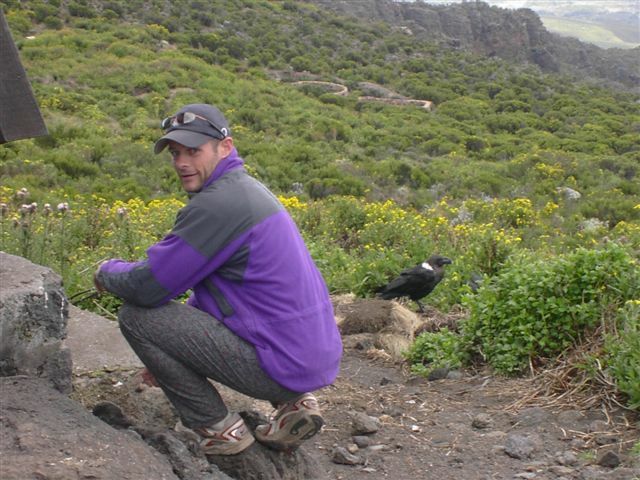 Craig is an enthusiastic climber who has conquered many peaks including various ranges of the Alps. Group Neil is a 41 year old Physical Training Instructor in the Royal Marines. He is currently works on recruitment for the Corps. He has been married for 14 years and has 2 boys. Interests include most outdoors activities, except Kayaking!! He has climbed extensively around the world but Kilimanjaro will be his highest mountain to date. 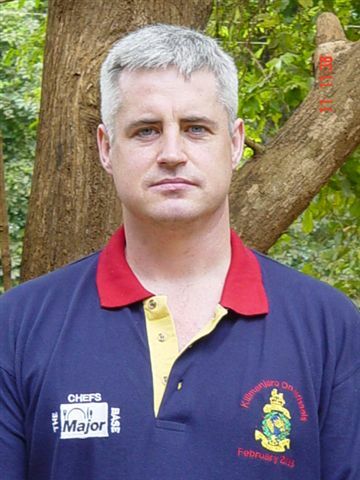 Jimmy is a 34 year old Royal Marine who is currently serving as the Head Chef at CTCRM. He is engaged to Lynne and has two children Adam and Stacey. 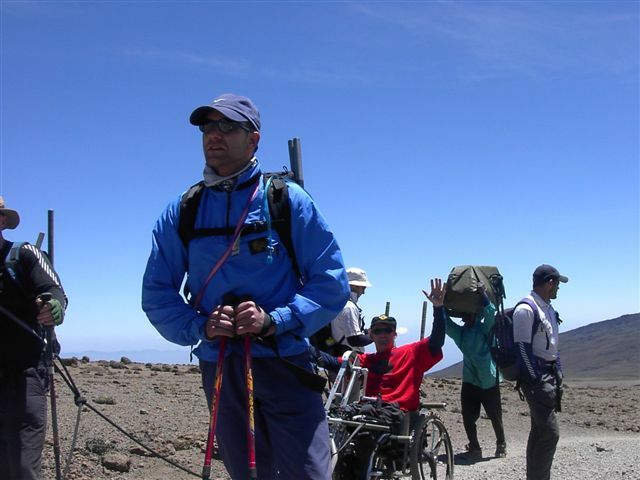 He is experienced in endurance activities but the exercise Kilimanjaro on Wheels will be his greatest achievement to date. 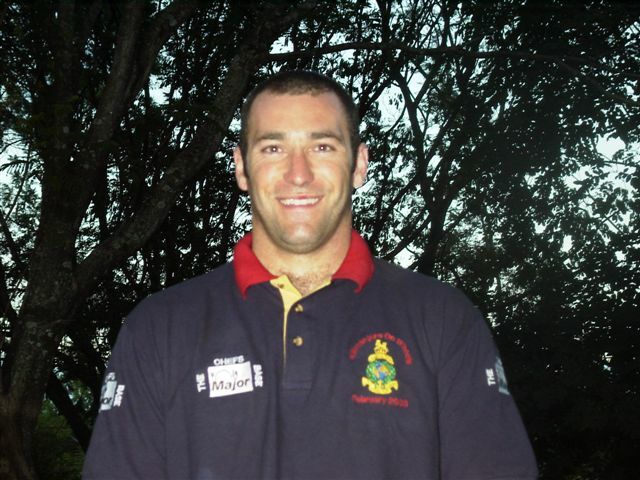 Wolfie is a 39 year old Royal Marine from Kidderminster; He now lives in Devon and has 3 children Thomas, Ami and Emily. He has been to Kenya before where he was part of a team that went up Pt Lenana. He works at CTCRM in the Computer Application Awareness Training School (CAATS) and also teaches Adult Education for Exmouth Community College. Wolfie is delighted at being part of the team that will get Jon to the top of Kilimanjaro and consequently a world first.